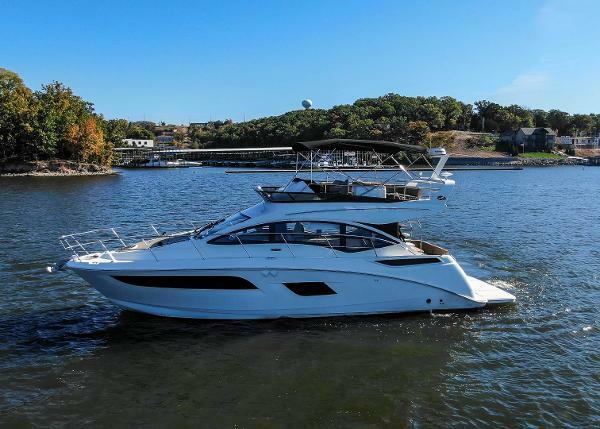 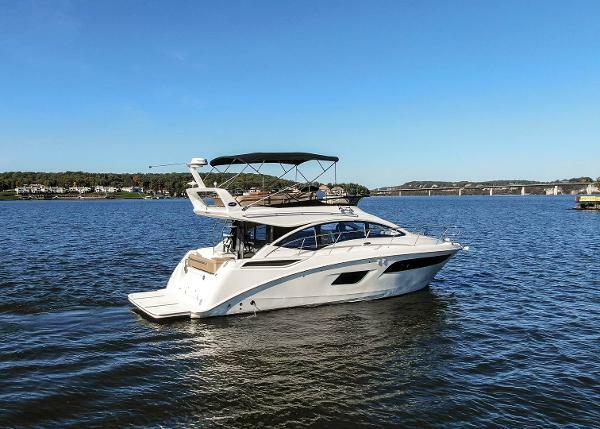 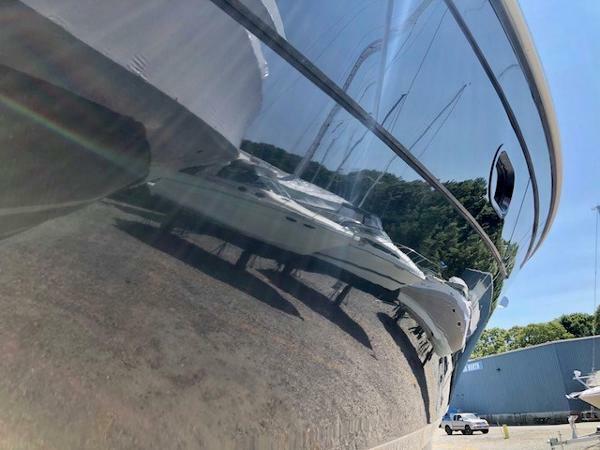 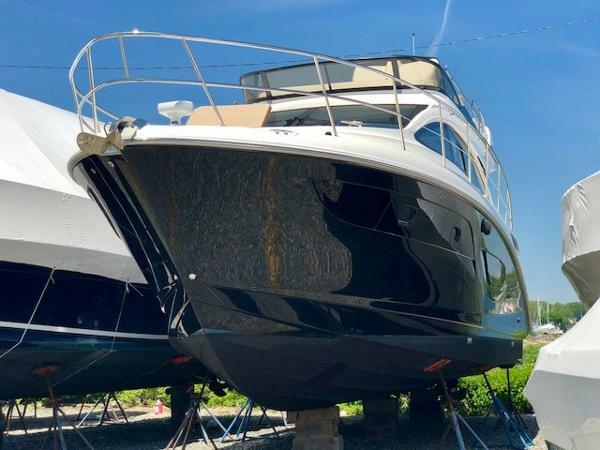 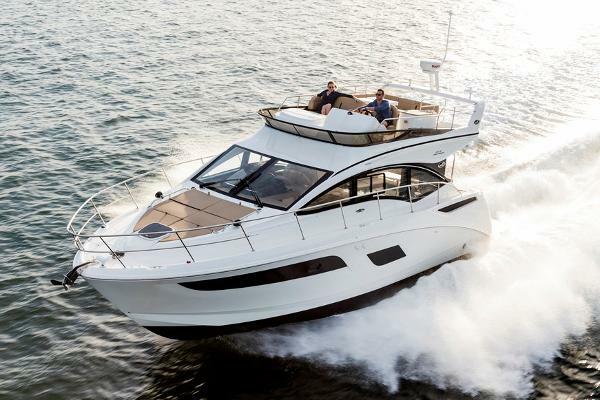 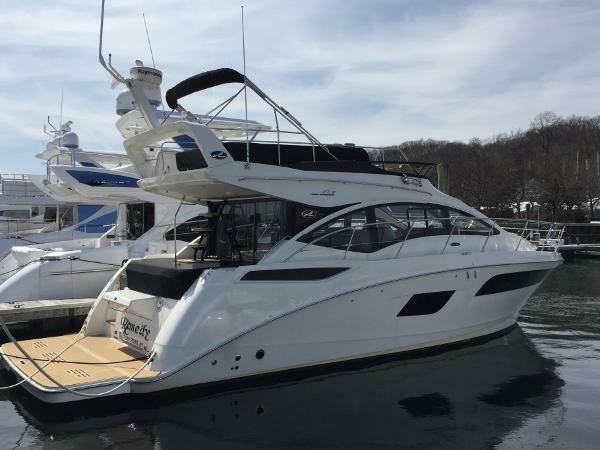 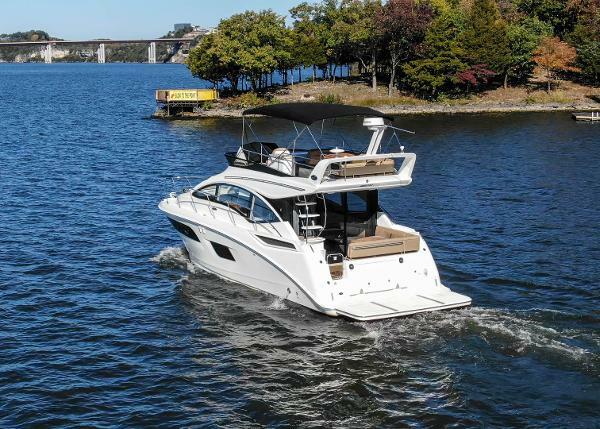 2016 SeaRay 400 Flybridge - Just Traded - Optional Two Head Layout - Just 230 hours on Engines - Excellent condition Original Factory Options: White Hull with Black Canvas, Prestige Cherry Interior, TVD Cummins QSB 6.7 480 T3 Non DTS (T-459 php) Diesel V Drive Inboards, LG Venus Solid Surface Countertops, Interior Stereo Upgrade, Safe, Salon Sofa with Pull Out Bed, Optional Second Head Layout, TV FS w/DVD/Gaming Port Mid-Cabin, Sirius Satellite Radio, Macerator w Seacock Interlock System, Mesh Windshield Shade, Foredeck Audio System, Bridge Bimini Top, Bridge Refrigerator, Extended Swim Platform, Flag Pole, (2) Transom Underwater Lights, Cockpit Table - Fiberglass, Transom Gourmet Space with Grill, Windshield with Side Openning Windows port and starboard, Anchor Washdown System, Raymarine Autopilot, E125 Raymarine Lower Helm Chart Plotter/Aux Display, Inboard Joystick Docking System w Bow Thruster, Dynamic Running Surface and Stainless Steel Anchor. 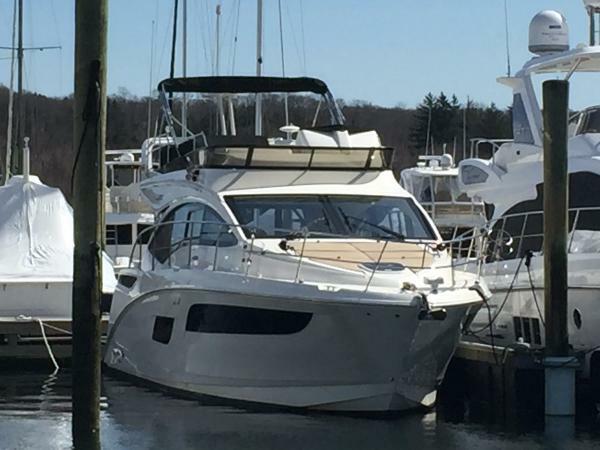 Easy to see at our docks in Huntington NY. 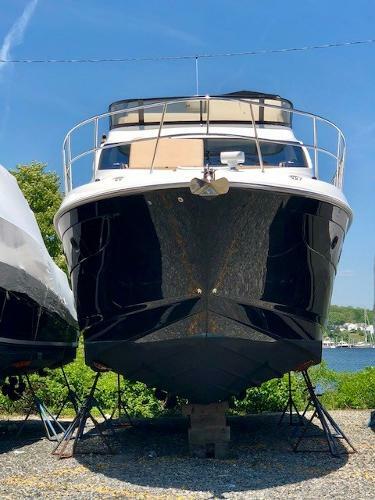 Call for an appointment and showing today.